As we reached our sampling site in Barrow Canyon, I received a message from the bird observer, Luke DeCicco, telling me to come up to the bridge immediately. The last message I received from Luke to come to the bridge was to tell me about the Snowy Owls so I knew this was going to be good. 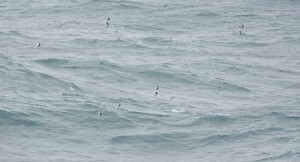 I was right as flying around the ship were flocks of Ross’s Gulls. 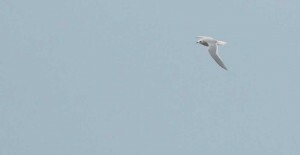 Ross’s Gulls are found only in the Arctic and very rarely go south of the Bering Strait. The only way to see them in North America is at sea in the Arctic Ocean or off of Barrow in the fall. They are tied closely to the ice edge and Luke had been anxiously looking for them the entire cruise. He got his long awaited glimpse of what he called the “apex of avian awesomeness” with hundreds of Ross’s Gulls flying north by the ship all day. 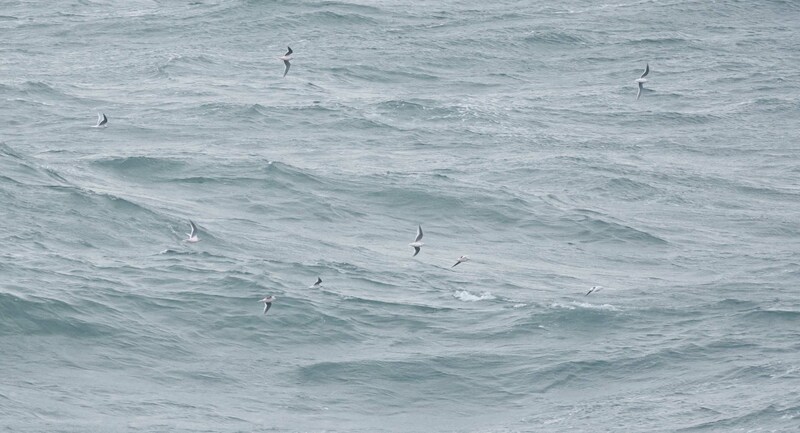 He was in heaven and with one glimpse of these little gulls, I knew why. Small in size, the birds have a very interesting coloration with a lavender grey back and wings and a pink breast. The pink plumage, derived from their diet of krill and other plankton, is the same pink that glows in the sky at sunset and the grey is that of the Arctic sky. A perfectly adapted little bird for their environment, I was excited to see these birds, another unique species to the Arctic! Thanks Luke for the great photos!